DeKalb County is hosting an SBA Lender Forum to our local financial institutions sponsored by IL SBDC at WCC in DeKalb on May 14th. 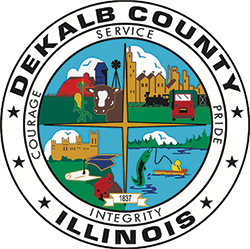 Having an IL SBDC presence active in DeKalb County for the past year has been a tremendous benefit to refer our Business Incubator Tenants and general business inquiries from all over DeKalb County. Just a reminder that all County Offices, including the Courthouse, will be closing at Noon today. The Regional Office of Education at the Community Outreach Building will remain open until 4:30 p.m. The Joiner History Room will be saying farewell to their location in the Sycamore Public Library. A Farewell Open House will be held on Monday April 22nd from 4PM-6PM.